More than 2,500 chemical plants throughout all 50 states of the US are either at high or moderate risk of flooding and releasing hazardous chemicals into the environment, according to an analysis by the New York Times. Many hundreds or thousands of other chemical plants may also face a heightened risk of flooding, according to the Times, because floodplain maps are likely outdated and do not reflect the increased risks caused by climate change. As the planet continues to warm primarily through the accumulation of greenhouse gases in the atmosphere, precipitation patterns are becoming more extreme, coastal storms are becoming more powerful and common, and sea levels are rising, according to scientists. As a result, past precautions taken by chemical companies — like creating flood ponds, pumping systems, and reinforced containers and walls — are being overwhelmed at an alarming rate, threatening human health and the environment. For example, the Houston area has more than 100 chemical plants at moderate or high risk of flooding, according to the Times. When Hurricane Harvey struck last year, the storm’s impact was greatly worsened by the release of toxic chemicals. 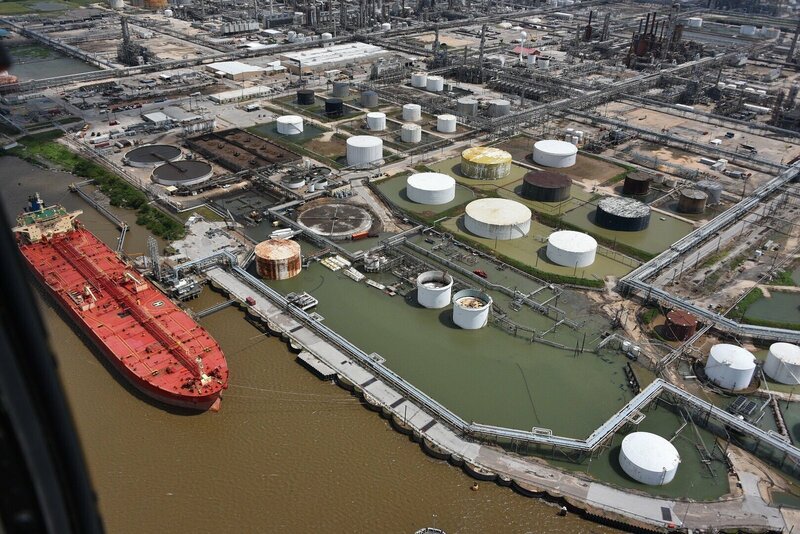 A Chevron Phillips facility damaged from the storm released 34,000 pounds of sodium hydroxide and 300 pounds of benzene — highly toxic substances — that pervaded flooded streets and water sources. Even chemical facilities ostensibly out of the way of flooding are being compromised by increasing rain patterns, according to the Times. For instance, Sabic Innovative Plastics, based in Alabama, released 4,500 pounds of sodium hydroxide into a tributary of the Alabama river last year, the Times found. 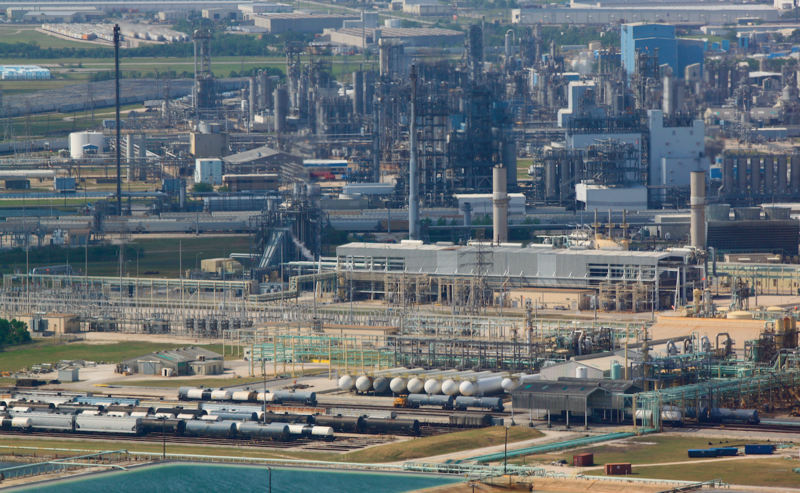 The reason why so many chemical facilities are prone to flooding is because many were built along rivers and coastlines to take advantage of bodies of water for cooling liquid and places to dump waste. But now that climate change is rearranging geographical risks, historic rationales are now looming liabilities. This is a problem that’s being felt around the world. Globally, 12.6 million people die each year because of exposure to hazardous chemicals in the air and water sources. India has one of the highest rates of air pollution in the world and it also happens to be one of the most flood-prone countries in the world. During extreme monsoon rains last year, for example, foamy rivers filled with toxic chemicals coursed through the streets of Bangalore. Global Citizen campaigns on universal access to clean water and food and you can take action on this issue here. The thousands of chemical plants at risk in the US could soon be joined by many more factories, the Times reports. That’s because rules that had been put in place by the Obama administration to compel companies to assess the flood risk of new infrastructure were rescinded by the Trump administration last year. And outside of floods, being near a body of water still carries a competitive advantage for chemical companies. That competitive advantage, however, does not extend to the millions of citizens living nearby.